Check Out This Home I Was Previewing for a Buyer. 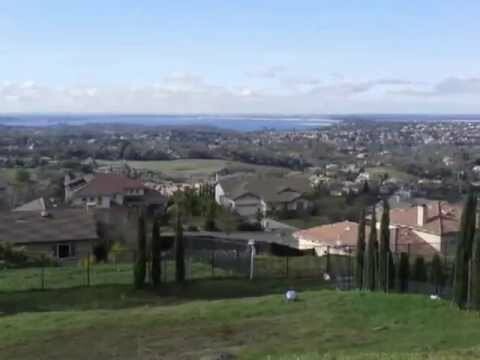 I was up in El Dorado Hills looking at homes and thought I’d share this, because it does have the views… almost a 180 degree view. It’s got a monster lot to go with it, but you will need to have the landscaping finished to make it special. According to the listing agent they have plans already drawn up. I haven’t seen them, but half the fun on something like this deal is to design something yourself. While they said they were going to put the MLS Lock Box on it today, when I was there around 12:30 or so, they didn’t have a key in it so I was not able to do a full preview. That’s why you’re only going to get a video with just an exterior view for now. But hey… for $850,000 we’re going to through in the Folsom Lake and Sacramento Valley lights for free…!!! You can click here for more information about the house and then look at the video below. Make it a Great Day…!